Dîner en Blanc New York was held at Robert Wagner Jr. Park on Thursday, September 15, 2016. 5000 people dressed beautifully in white, descended upon the the riverfront of New York Harbor. With views of the Statue of Liberty, guests mingled, dined, danced, celebrated and made new friends all in the spirit of Dîner en Blanc. Please credit photographer in the metadata credit field. 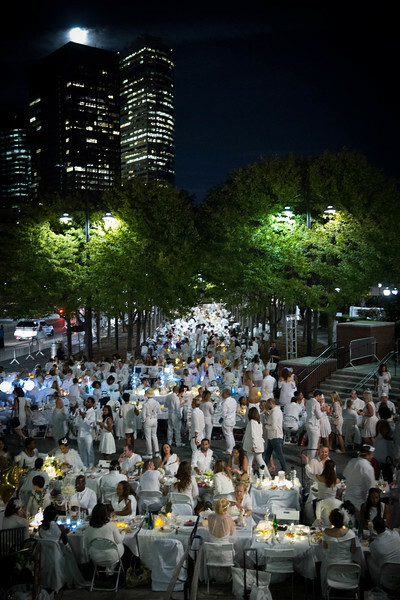 Dîner en Blanc New York was held at Robert Wagner Jr. Park on Thursday, September 15, 2016.